If you’ve been in the market for a starter motor cycle, or if you want to make sure that your kid is able to learn how to ride the motorcycle safely, the odds are pretty good that you’ve taken a look at the all new CBR 150R from Honda. Easily one of the most impressive starter motorcycles you’re going to find on the market today – which isn’t at all that surprising, considering the fact that Honda has been putting out top-notch motorcycles for decades – as this is exactly the kind of bike you are going to want to pick up this writing season. At first blush, you aren’t going to be able to notice very much different between the all new CBR 150R and its bigger brother the CBR 250R. In fact, a lot of people that own the CBR 250R have been caught staring down the new 150R, knowing that there’s over something” a little bit different but never really being able to put their finger on it – until they see the detail, anyway. You see, the Honda CBR 250R is consistently rated as one of the very best motorcycles on the market today, but it would have been nice to see some new design elements in the all new CBR 150R. Maybe that’ll happen later down the line. As we touched upon a little bit above, the look and feel of the all new CBR 150R is absolutely top-notch. It looks like a street bike that is much larger, much more powerful command much faster – important elements for those that want to purchase a starter motorcycle but do not want to be hassled when people see that it is a starter bike – all with the kind of top-notch Honda ingenuity you’ve come to expect. As far as power and performance is concerned, the 149cc motor is definitely going to get the job done (takes advantage of liquid cooling, and it’s for valve system is capable of developing 17.6 hp). The market for starter bikes is pretty wide right now, but Honda still has a chokehold on the market. This bike isn’t terribly expensive (though it is a bit more expensive than some of its closest competitors), but when you combine the legendary Honda reputation for durability in the performance this offers it’s a no-brainer. 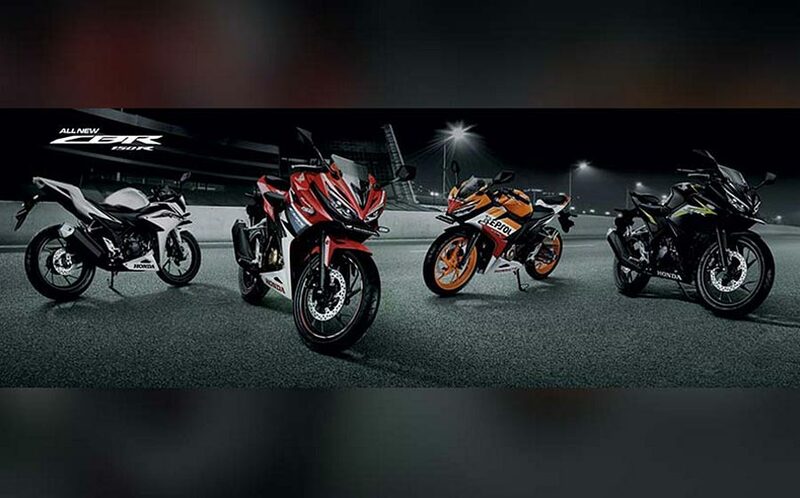 You are going to fall in love with absolutely everything that the all new CBR 150R brings to the table!